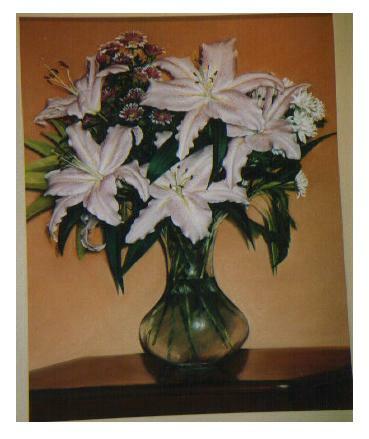 Many of the objects I use in my art works are set up in my home. 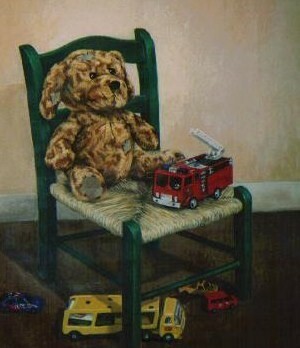 Green Chair and Toys, 2003, Acrylic. 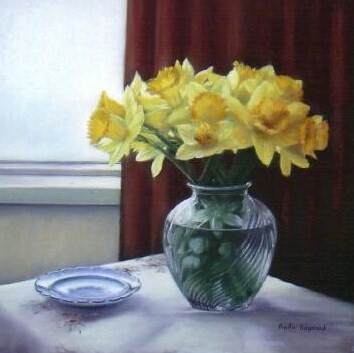 Bowl of Daffodils, 2006, Pastel.